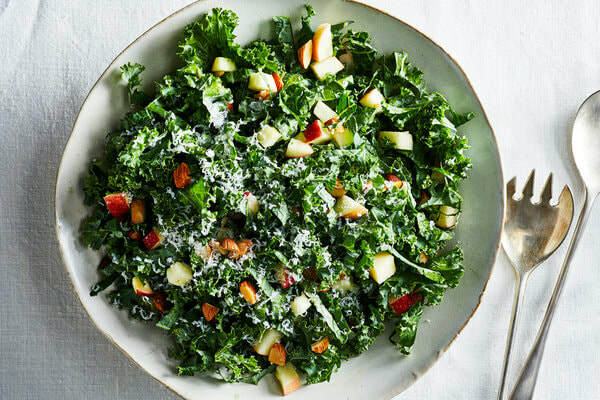 Combine the kale, almonds, apple and Cheddar in a large bowl. Advance preparation: This salad benefits from tossing with the dressing about 15 minutes before you serve it. The kale will soften in the dressing.